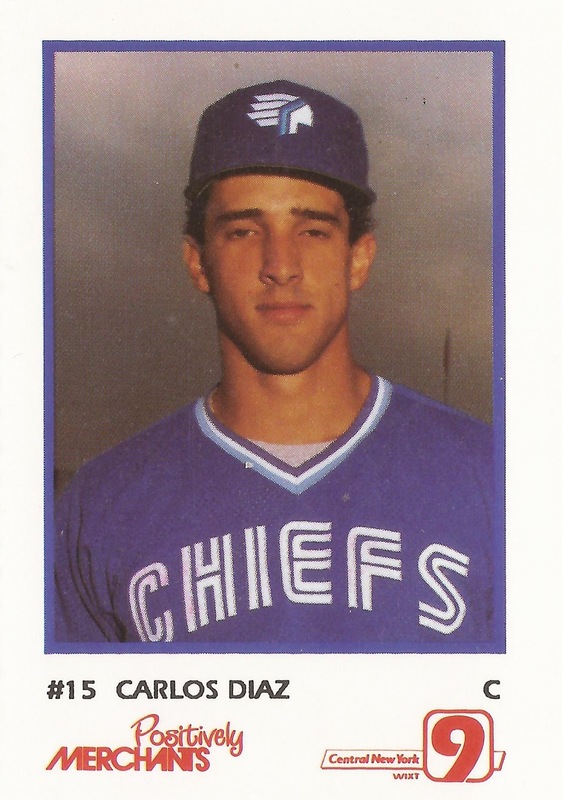 Fresh from his selection by the Blue Jays in the 14th round of the 1986 draft, Carlos Diaz arrived at single-A Ventura County to play for the Gulls, The Oxnard Press-Courier wrote that June. Diaz had just helped his Oklahoma State Cowboys to fourth place in the College World Series and Diaz was looking forward to helping the Gulls, he told The Press-Courier. "I've had four or five days off and I'm getting itchy," Diaz told The Press-Courier. Diaz' stay with Ventura County, however, was brief, two games. He split the rest of the season between rookie-league Medicine Hat and short-season St. Catharines. Diaz would eventually make the majors, but his stay there would be brief, as well. 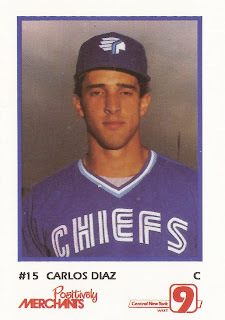 Diaz played nine games with Toronto in 1990, split between two call-ups, the extent of his major league career. The New Jersey-native Diaz played a total of 46 games for Blue Jays affiliates that first season, hitting .253 between them. In his two games at Ventura County, Diaz went 2 for 5 with a double. With Medicine Hat in July, Diaz singled and scored on an error in a one-run loss. For his second season, Diaz moved to the Florida State League, playing the year at single-A Dunedin. With Dunedin, his average dropped to .230. In 1988, the catcher's averaged sunk below .200 to .191 between three levels. Diaz got seven games that year at AA Knoxville and 27 games at AAA Syracuse. He also knocked in the game-winning run for Dunedin in a June game by way of a bunt. Diaz spent all of 1989 at Knoxville, them moved to Syracuse to start 1990. He got his first call-up in early May. Diaz got into four games that month for Toronto, getting a total of three at-bats and one hit. He returned to Toronto in September, getting into five more games and one more plate appearance. That plate appearance was a sacrifice, which helped lead to the winning run. Diaz played three more seasons, all in the minors in the Indians, Brewers and Royals systems.